Skyscrapers around the world keep getting taller and taller. Currently, the world’s 10 tallest future buildings have an average height of 566 meters –77 meters more than the ten highest skyscrapers completed in the last decade. With a height of 828 meters, only Burj Khalifa will keep its Number 1 position in the current Top10 tallest list. Even the tenth highest building currently under construction at 510 meters is higher than the existing Number 2 with a height of “only” 508 meters. Nine out of the ten future skyscrapers are located in Asia. 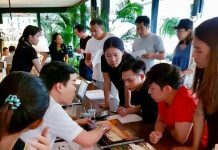 Nevertheless, Dubai is no longer booming with construction, instead China is now leading the race with 6 of the 10 tallest skyscrapers currently being built followed by South Korea with two buildings in the list. The architects Kohn Pedersen Fox (KPF) designed the 648-meter tall Ping An International Finance Center in Shenzhen with a staggering 116 floors. Once completed in 2015, it will be the world’s second tallest building after Burj Khalifa. Northern China will be boasting the Goldin Finance 117 in Tianjin, CTF Tianjin Tower and the Dalian Greenland Center in the next four years. Further along the coast, South Korea will soon feature two 500m+ new skyscrapers in Seoul and Busan. In fifth place, the 556-meter tall Lotte World Tower in Seoul by KPF will be 46 meters taller than the Busan Lotte Town Tower by Skidmore, Owings & Merill (SOM) upon completion. 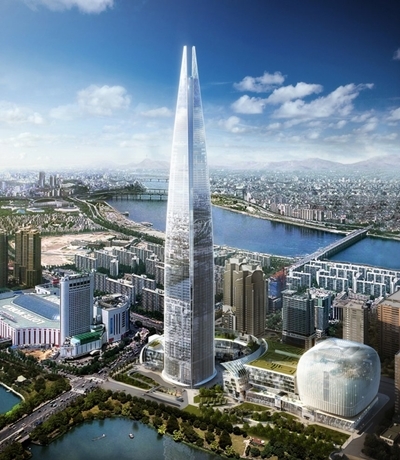 Overlooking the Busan harbour, Lotte Town Tower will be 510 meters tall with 110 floors. 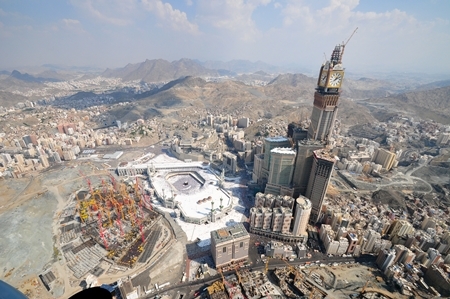 In Saudi Arabia, the Makkah Clock Royal Tower is already topped out and overlooks Islam’s holiest place, the Kaaba. Designed by Dar al-Handasah Shair & Partners, the 601-meter tall skyscraper is both a hotel and a shopping center. The only 500m+ skyscraper currently under construction in the Western hemisphere is One World Trade Center in Lower Manhattan, New York. The 541-meter tall structure designed by SOM is at 6th place in the world’s ranking and will be completed this year. 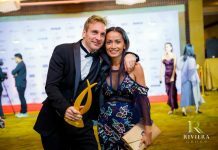 SOM and KPF are head to head in the race of building the tallest skyscrapers of the future – both companies have three projects that are currently under construction. Two projects currently on hold are India Tower in Mumbai, with a planned 720 meter height, by Foster + Partners, and the Pentominium, by Aedas, with a proposed height of 516 meters in Dubai. It is unknown whether either project will be completed. The 556-meter tall Lotte World Tower in Seoul. 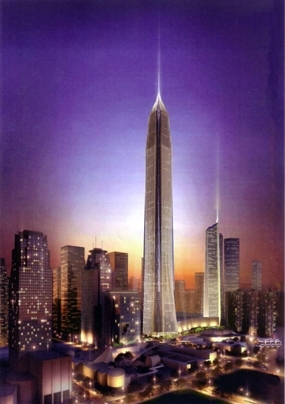 An artist’s rendering shows the Ping An International Finance Center in Shenzhen, China, which will top out at 648-meters when completed in 2015.